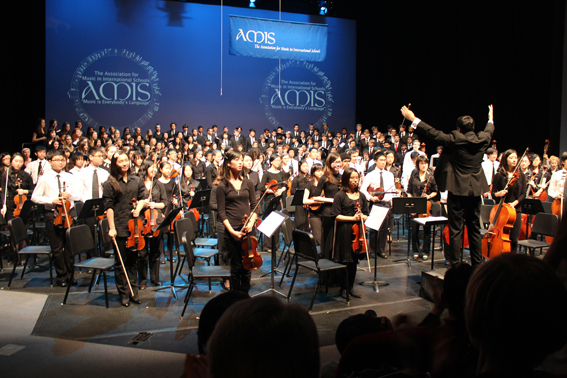 JFKS is a member of the Association of Music in the International Schools (AMIS). Both Middle School (grades 6-8) and High School (grades 9-12) take part in honor festivals as members of bands, choirs, jazz ensembles and orchestras. Some past festival locations are Shanghai, Dubai, Zurich, London, Bucharest and Berlin. Students must audition for these ensembles, are required to be part of the relevant ensemble at JFKS and are selected solely on the basis of the quality of their singing/playing.